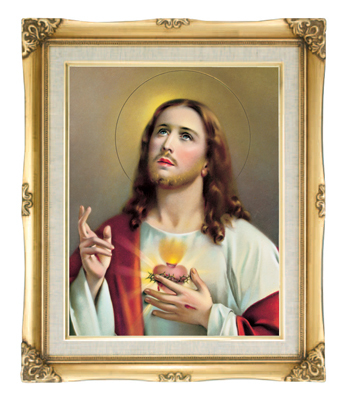 Decorate your home with Christian wall art of Jesus, Mary and Saints. 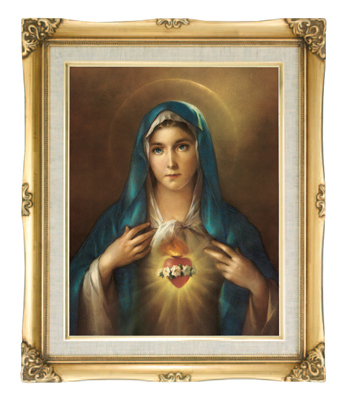 This framed art makes a great gift for your church. 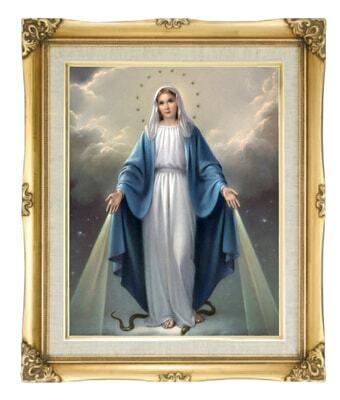 Our religious pictures are mounted in an ornate frames in a golden finish and a glass pane to protect the print. Each frame arrives with all hardware installed and ready for wall hanging.